In partnership with Contemporary British Silversmiths, the leading association for contemporary silver, The Clothworkers’ Company hosts a day of events, shining a light on the fascinating process of commissioning and making silver.Meet the makers during free demonstrations by award-winning silversmiths Miriam Hanid and Yusuke Yamamoto and learn about their live commissions for The Clothworkers’ Company during our lunchtime lecture. 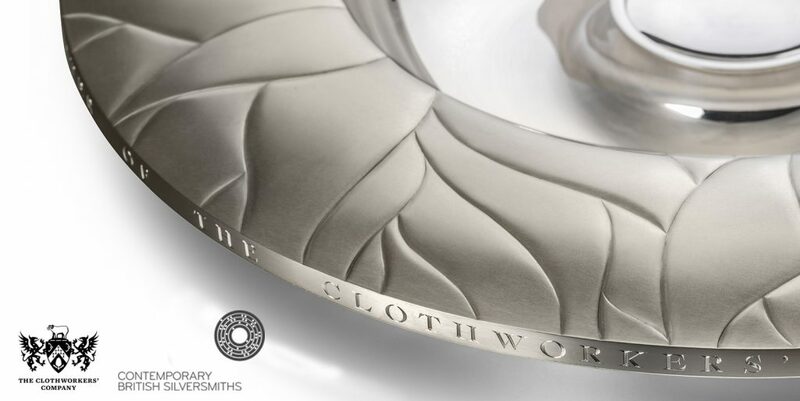 Both silversmiths have recently been commissioned to create major pieces for The Clothworkers’ Company. This one-day event offers visitors a unique opportunity to talk to the makers about their design process and techniques and find out about the commissioning process. The Clothworkers’ Company possesses an extensive collection of silver dating from the early seventeenth century onwards and actively commissions new work as it seeks to build a representative collection of the best of contemporary silver made in Britain. The two silversmiths will be demonstrating their exceptional skill to the public in the prestigious surroundings of Clothworkers’ Hall, giving visitors a rare opportunity to see inside one of the Great Twelve Livery Companies of the City of London. Miriam Hanid is an award-winning silversmith, best known for her distinctive sculptural silver inspired by water, movement and the natural world. Miriam employs the decorative techniques of chasing and engraving as a focal point in her work. She will demonstrate the process of hand engraving, giving the audience an insight into the life of a silversmith and the bespoke nature of her handcrafted commissions. Yusuke Yamamoto graduated from Musashino Art University, in Japan in 2004. He is fascinated by the behaviour of water, clouds, petals and texture of trees. He shapes metal using a hammer and chasing, each stroke expressing a story and an emotion. He exhibits and sells his award winning pieces worldwide, with work featured in prestigious public collections in the UK and abroad. 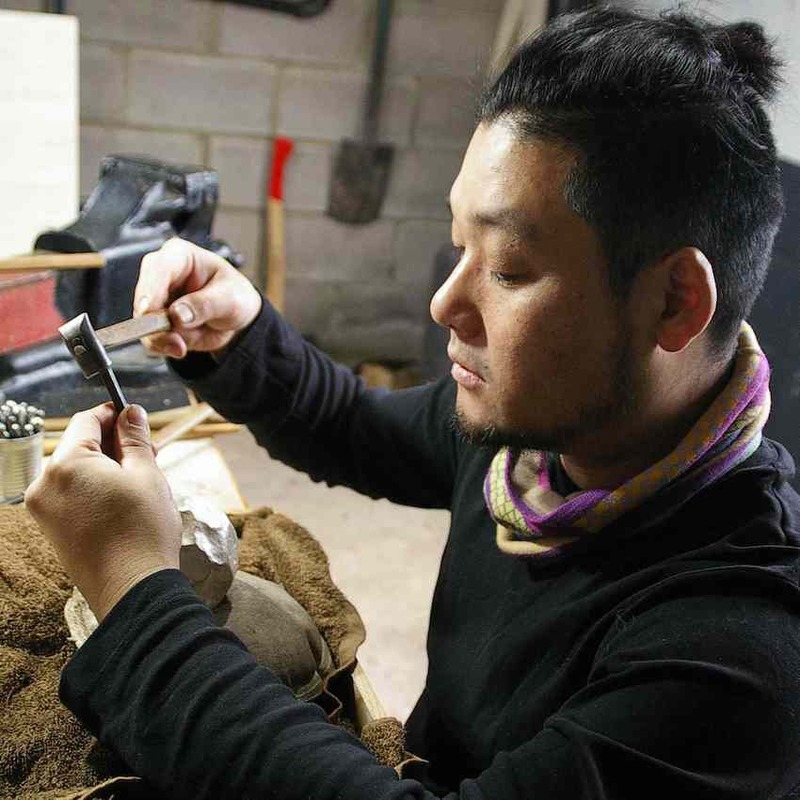 Lunchtime Talk: Chair of Contemporary British Silversmiths Angela Cork will interview Miriam Hanid and Yusuke Yamamoto about their Clothworkers’ Loving Cup commissions, and Clothworkers’ Senior Archivist, Jessica Collins, about the significance of the Loving Cup and Clothworkers’ silver collection. Cost: £10, booking required. Coffee and tea available upon arrival. Founded by Royal Charter in 1528, the original purpose of The Clothworkers’ Company was to protect its members and promote the craft of cloth-finishing within the City of London. The Clothworkers’ Company values its past and traditions, but seeks to build upon its heritage and find ways for the Company to have a useful and relevant role in today’s society. Although few of its present members are involved in the textile industry in any direct way, they continue to support textiles, principally through educational grants, fostering the development of technical textiles and colour science, and support for the nation’s textile heritage. The assets of The Company, which are based on property and investments, are used to support The Clothworkers’ Foundation, which is a registered charity and one of the largest grant-makers in Britain. As one of the Great Twelve Livery Companies, The Clothworkers’ Company enjoys a close bond of friendship and co-operation with other livery companies and the City Corporation. The Company takes pride in performing its civic obligations and contributing to the living history of London. 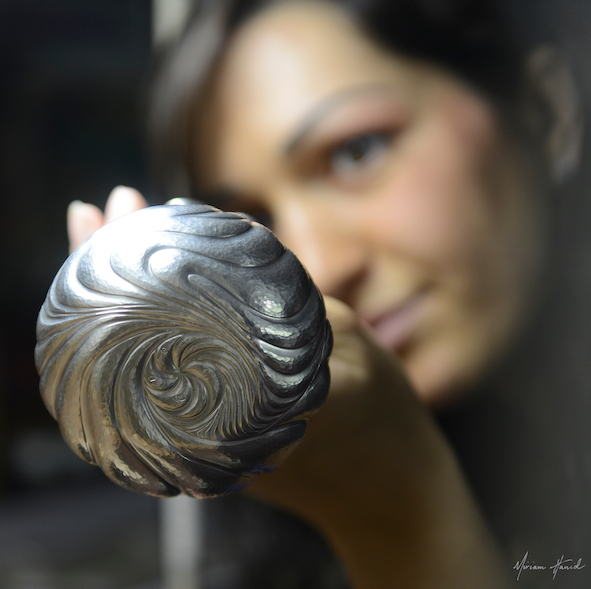 In promoting the design and creativity of the silversmith, it has worked closely with institutions such as the Goldsmiths’ Company, the Victoria and Albert Museum, Christie’s, Bonhams and the Silver Trust Collection at Downing Street to create bespoke exhibitions that support its aims of promoting and celebrating contemporary silver to a global audience. A central focus of its work is to raise the profile of contemporary silver to the public through demonstrations, educational workshops and telling the story of its craftspeople and attract the public to the prospect of owning and commissioning silver. Previous demonstrations have featured the Georg Jensen workshops, Rebecca de Quin, Junko Mori and Abigail Brown.